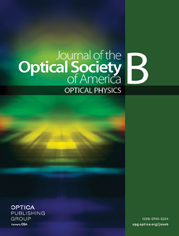 We present GaAs/AlGaAs semiconductor lasers in which second-order nonlinearities are phase matched for efficient second-order nonlinear conversion. A comprehensive study of difference frequency generation (DFG) is presented, and the process is characterized for tuning, efficiency, and tolerances. External nonlinear conversion efficiency of 1.84×10−2%/W/cm2 is measured for the DFG process. The effects of carrier injection and temperature variation on DFG wavelength are studied, and the two effects are deconvolved for better understanding of carrier effects on nonlinear conversion. A wide DFG tuning range for the device operation is experimentally demonstrated where the idler wavelength can be tuned more than 30 nm for every 1-nm span of the pump wavelength.